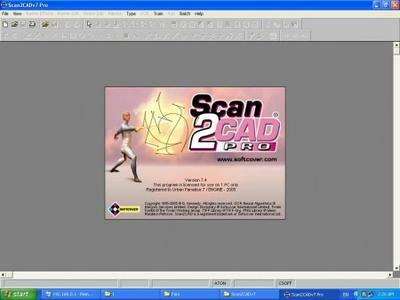 Scan2CAD automatically converts scanned drawings into DXF files that can be edited in any PC CAD, CNC, GIS or mapping program. High quality vectorization for quick and easy editing in CAD. NO paper-size restrictions - converts ALL drawing sizes. Converts standard raster file formats (TIFF, BMP, CALS, PNG, JPG, etc.). Converts monochrome (black/white), grayscale and color raster files. Includes raster and vector editing tools. Optional printed manual and free technical support. Runs on any PC with Windows '95, '98, NT4, 2000 or XP.